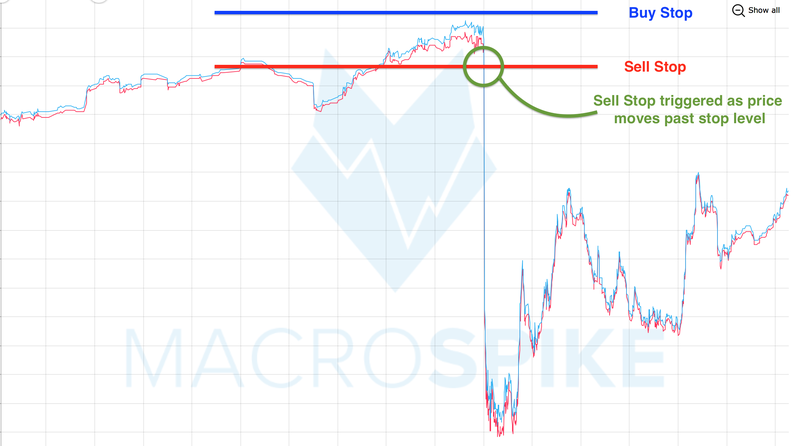 A Straddle is a strategy that involves the simultaneous placement of a Buy-Stop-Order above and a Sell-Stop-Order below the current market price at strategic breakout points. These can be important events, like news announcements, market openings or any other sudden and one-sided price movements. Orders will sit there until either one of them is triggered, or until the market event is over.